When you make an appointment to have your harp regulated, there are three important things you can do to get ready. The first is to make sure your strings are in good condition, especially in the top two octaves. The second is to make a list of any specific problems you would like to see addressed. The third is to let your technician know in advance if you will want strings or other parts replaced. Over time and with use, harp strings wear away at the points where the discs of the mechanism (or the lever cams on lever harps) contact them. Strings that have been in heavy use for a year or more will often look like they’ve been chewed on, or even had a bite taken out of them, at those points. On thicker strings, from the third octave on down, this wear can affect the string’s tone, but generally doesn’t affect its ability to play in tune. In the top two octaves, however, the shorter string lengths mean that any change or damage to a string will have its effect multiplied. As the string wears away, the disc will grip the string less strongly. The string will tend to sound flat, and may even begin to snap. These problems can be fixed by a regulation even if you don’t replace the strings, but there’s a problem. If I adjust your harp to sound in tune with old, worn strings, then they wear out or break and you replace them, their relationship with the discs will change, and they will likely sound sharp. That’s why, for the most accurate and durable regulation, I recommend replacing old or worn strings prior to your regulation. Since strings take a while to stretch and settle, it’s best to replace them two weeks prior to the regulation appointment so they will be stable by the time you see your technician. If you miss that window, however, even one week prior is okay. I’d rather regulate your harp with new, slightly unstable strings than with those old clunkers. When a string is in good condition, it can be gripped well by the discs, resulting in a clean sound and accurate intonation. Worn away strings will not be gripped as well. They will be out of tune when you change pedal positions and will probably snap against the discs as well. If there is a buzz or strange vibration in your harp that is bothering you, make a note of it, along with as much specific information as possible about conditions when it happens. Better yet, practice reproducing it. The best way to make sure I hear what you’re hearing is to be able to make it happen when you bring the harp in for service. If you make some written notes, you’ll be able to remember the pedal position, string, et cetera. I often have people give me vague information like, “there’s a buzz. I think it’s in the third octave somewhere. Or was it the fourth?” Having as much info as possible about what key you’re in and what string your playing when you hear the buzz will give me a greater chance to locate and troubleshoot it. There are many cases where a buzz will happen one one particular string and in one particular key. If I don’t set the pedals exactly the way you do and play the string the same way, I may not hear what you hear. Later on, when I’m headed back to Indiana and you play in that key again, you hear that the buzz is still there and you decide I’m a lousy harp technician. Neither of us wants that to happen! Likewise, if you have a question or several about your harp, do yourself a favor and write it down. If I had a dollar for every time someone said “I know there was something I wanted to ask you but I can’t remember what it was” I could probably take a luxury cruise. If you would like bass wires or pedal caps replaced, or if you have a disc that is broken, please let me know in advance. I can make sure I bring what you need, and schedule in any extra time that may be required to replace strings or broken parts. I try to keep spare parts on hand, but I’m limited to the amount of things I can cram in my luggage and the airlines limit the amount of weight I can carry, so I’m not prepared for every situation. I also only carry an emergency set of strings. If you’re not sure whether or not something will need replacing, feel free to ask me. I may need you to send a picture, or we might make a plan to have the part on hand just in case. So there it is, your harp technician’s wish list. Paying attention to these issues will help you get the best possible regulation when the appointment time rolls around. Not only that, but you’ll make your technician’s day. Cheers! Want to get great articles like this delivered to your email inbox? Join the mailing list now! People often ask me if I’m willing to work on lever harps, and the answer is yes! 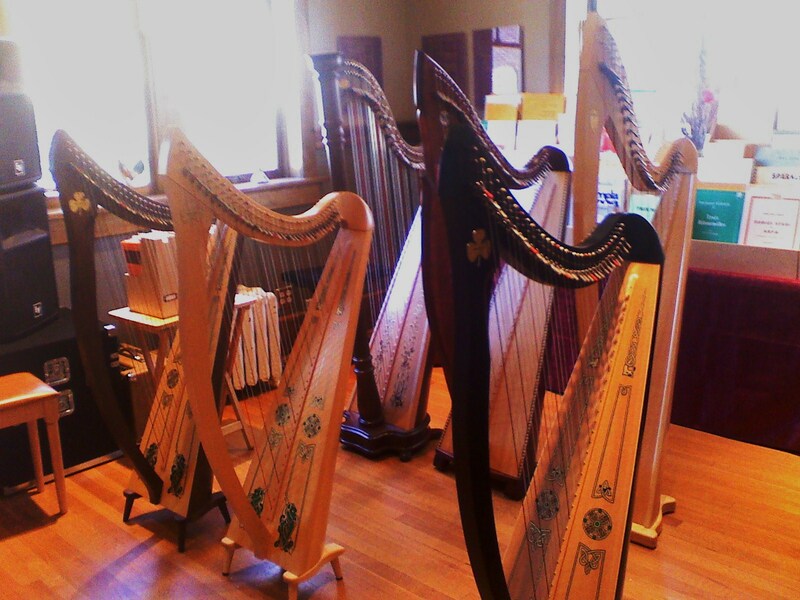 In addition to my extensive experience with Lyon & Healy and Salvi lever harps, I have also serviced and repaired harps by a variety of other makers including Camac, Dusty Strings, Thormahlen, Sandpiper, Triplett, Heartland, and more. While some traveling harp technicians prefer not to get involved with lever harps, I consider them a specialty. During my time at Lyon & Healy I spent two years performing final regulations on all of the Troubadours, Folk Harps, and Preludes that Lyon & Healy produced. I was a member of the R&D team that developed the Prelude. I also had a hand in the final assembly and regulation of many of the Salvi lever harps sold in the United States in the mid-1990’s. But enough about me. Let’s talk about your lever harp and its needs. 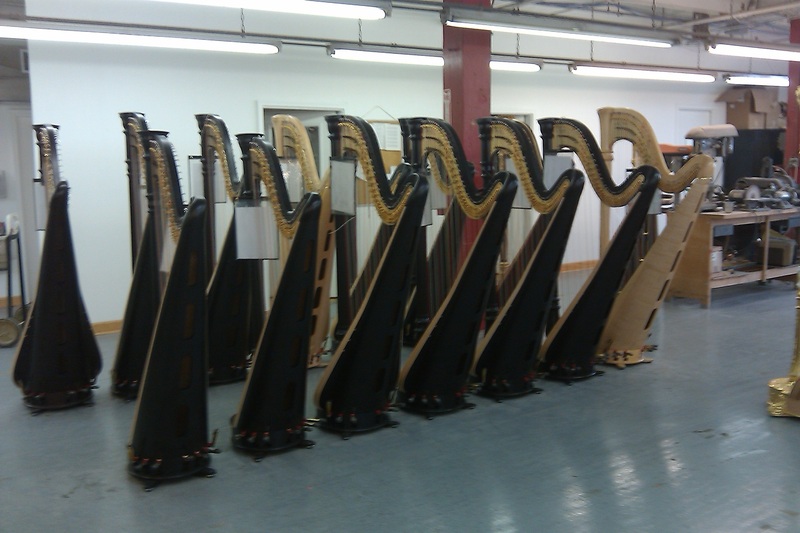 How often do lever harps need service? A lot less often than pedal harps. 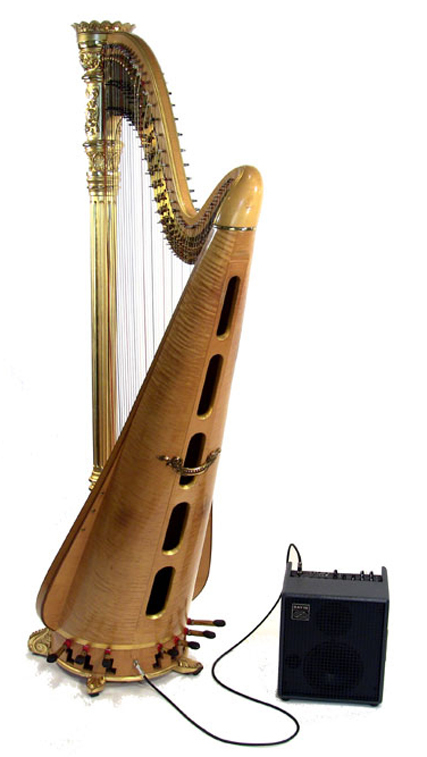 Lever harps can go for years and years without any more maintenance than regular cleaning and string replacement. If you’re starting to hear some buzzing when you play, or if the harp doesn’t sound in tune anymore when you flip up some of the levers to change keys, then you’re probably due for a regulation. I generally recommend that lever harp owners who are not having any problems with their instruments have them regulated about once every five years. This gives me a chance to perform preventative maintenance like tightening screws, replacing levers that may be wearing, and watching for any structural issues that may be developing over time. As with pedal harps, I recommend preparing for a regulation appointment by replacing the strings in the first and second octaves if they are more than two years old. Many harpists also decide to have their bass wires changed during a regulation appointment. As we discussed in this post, new bass wires can give your whole harp’s sound a big boost. The latest issue of my print newsletter, The Harp Herald, is now online. Highlights include visits to the Lyon & Healy and Camac factories, my upcoming road service schedule, and more. Download it here. I will be undergoing heart surgery to replace my aortic valve on April 11, 2011. After the surgery, I will not be able to lift more than 5 pounds for 6-8 weeks. I have canceled or postponed my scheduled trips to Salt Lake City, Sioux Falls, and Dayton for April and May. I hope to be sufficiently recovered to resume my normal schedule in June, including visits to Austin and Salt Lake City. I expect to be in the hospital for five days, away from access to email and phone. After arriving home, it is difficult to predict how quickly I will be able to begin returning phone calls, but I encourage you to call or email with any questions you may have and I’ll get back to you as soon as possible. It will still be possible to order my DVD, Harp Care with Steve Moss, during this period. My family can help fill the orders if I am not able to. This surgery came about because I was born with a defect in my aortic valve, and its function has slowly worsened over time. I have been aware that I might need this procedure at some point. I expect to make a full recovery after healing up from the surgery, and the doctors tell me I’ll feel better than ever, since the mechanical valve will improve my heart function. I apologize for any inconvenience to you, and would like to take the opportunity to thank all of my clients, associates, and friends for your business and your support over the past few years. I look forward to working with all of you again soon. The Fall 2010 edition of my quarterly newsletter, The Harp Herald, is now available. The feature article is a review on the new Dusty Strings Harp Pickup, which I had a chance to check out at the recent American Harp Society conference in Tacoma, Washington last July. You can download a copy of The Harp Herald by clicking here. As always, please feel free to forward it to your friends or print out copies for your students. The Harp Care DVD is Now Available. 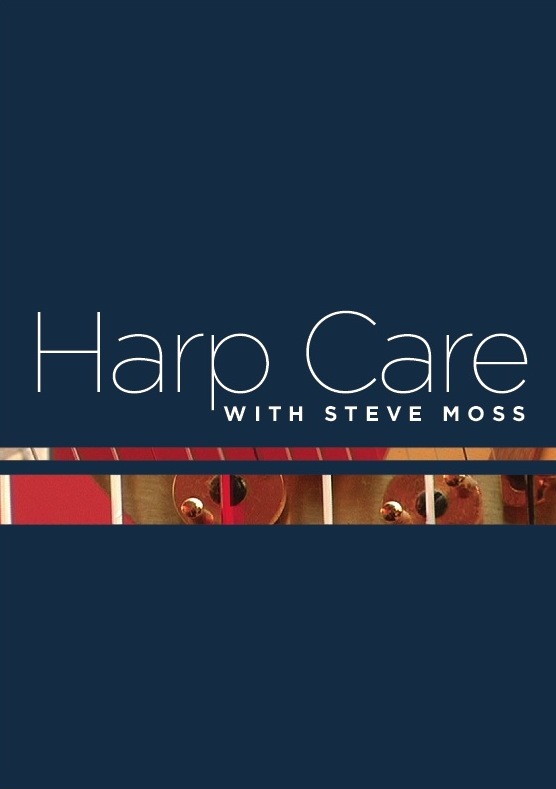 I’m proud to say that the project is complete and Harp Care with Steve Moss is now available. this 85-minute DVD features detailed instructions on harp tuning, cleaning, restringing, and moving. If you’ve just bought a harp, or are about to, Harp Care will answer all the questions you don’t even know how to ask yet. I shot the footage in Salt Lake City with the help of good friends like Catharine Delong and Eliza Hintze, and with an excellent film crew headed by Heather Aoyagi. Ann Hintze Rodriquez did the jacket design and the fabulous Mary and Craig Bircher contributed music. I’m proud of what we came up with, and I hope that you will like it too. You can view the introduction and place an order online here.